In recent times, one small movie that has been making the right noises with its visuals presenting an authentic rural milieu and breezy love happens to be Nedulnalvaadai, directed by debutant Selvakannan, and produced by B star productions - funded by 50 college mates of the director himself. Let's see what the movie has in store. Karuvathevar (Poo Ramu) decides to take care of his daughter Pechiamma (Senthil kumari) who had eloped against his wishes, and has now returned with her son Elango, after being abandoned by her husband. However, Karuvathevar's son Kombiah (Mime Gopi)doesn't like this, and keeps humiliating Pechiamma and her son. As Karuvathevar's grows Elango(Elvis Alexander) emphasizing on his future and getting good education, Elango falls in love with Amudha(Anjali Nair), and now Karuvathevar feels his grandson's love as an obstacle to his growth. Did Elango's love win, and was the caring grandfather able to understand Elango's love is what the emotional Nedunalvaadai is all about. Poo Ramu as Karuvathevar/Chelliah has lived the role, and attracts even with the simplest of expressions. 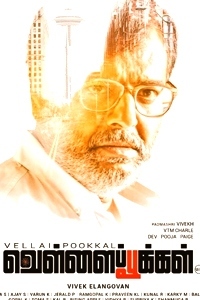 With subtlety being his forte, the veteran delivers an arresting performance in Nedunalvaadai, proving his calibre. Though Anjali Nair's Amudha mainly has to romance Elango, she does much more than that, as she depicts a typical village belle, breathing life into the character. Her emotions and expressions, especially towards the end speak volumes of her talent. Mime Gopi as the forever hatred spewing Kombiah is believable. 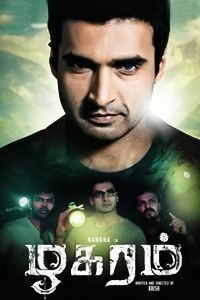 Elvis Alexander as Elango (reminds of Jai) is aptly cast as the grandson caught between his affection for Chelliah and love for Amudha, and makes the audience feel his pain.Senthil kumari as Pechiamma portrays the helplessness of the character perfectly, while Ajay Natraj and Aindhu Kovilan are adequate. The first half of Nedunalvaadai is establishes the main characters and their nature, and after establishing Karuvathevar's character and the way he wants his grandson to win his uncle, ventures into the love zone, which is filled with predictable sequences. However, the performance of Poo Ramu keeps one engrossed. Though Anjali Nair is apt as the village belle and is expressive, the love song could have been chopped off, as it doesn't add any value to the screenplay. The second half of the movie ventures into the economic issues the protagonist faces, that impacts his love, and the sequences are built coherently. However towards the end, with an unnecessary song and the forced action episode, Selvakannan's screenplay falters, though the climax makes up for it, with the emotions. Background score by Jose Franklin matches the theme of the movie, without affecting the proceeding, and the songs are passable. 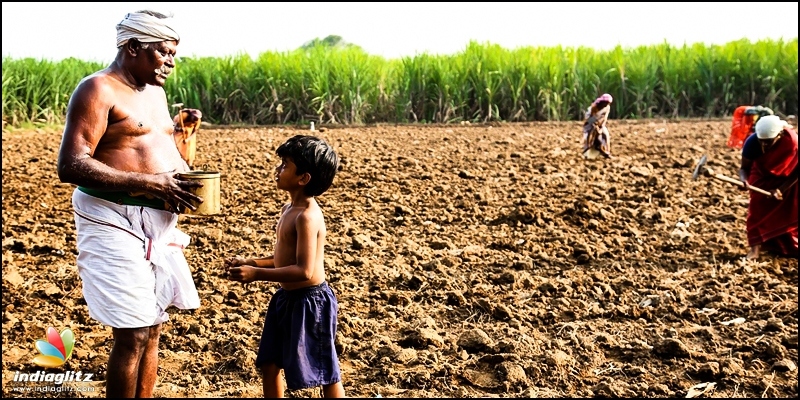 Cinematography by Vinoth Rathinasamy captures the rustic rural milieu and the lives of the people of the village beautifully. Kasi Viswanathan could have edited out the songs, and taken care of the dragging second half. Director Selvakannan has opted for a tale of emotions, bonding and love in a rural set-up, and with limited characters, impresses on debut. 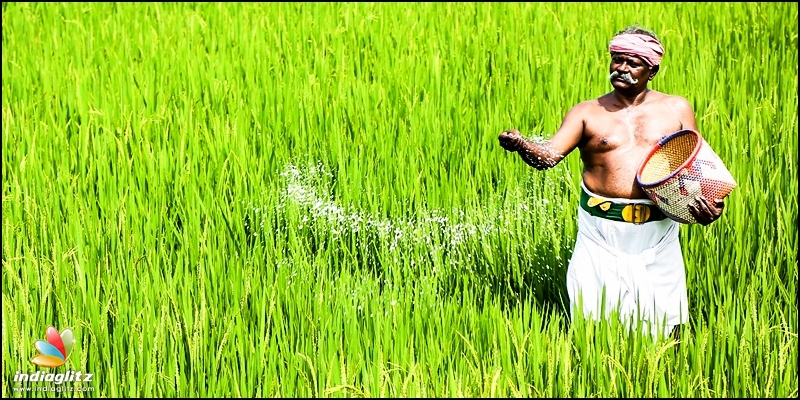 Be it the economic barriers standing as an obstacle in love, the bonding between the grandson and grandfather, or the way agriculture and the way of living of people dependent on farms has been presented without any cinematic exaggerations in a realistic way, Selvakannan proves his ability as a screenplay writer. 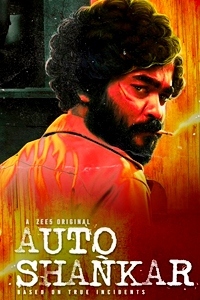 Though the movie comes with its own shortcomings, like the predictable love episodes, the unwanted songs or the dragging second half, the success of Nedunalvaadai lies in the fact that one can very well connect with the characters emotionally - feel for Elango, get angry on Kombiah, fall in love with Amudha, and long for a loving grandfather like Chelliah. The movie is a simple tale that reminds one of Kalavani, except that the focus is on emotions instead of the humorous treatment there, and Selvakannan gives a fairly engaging flick with Nedunalvaadai. Verdict: A simple emotional tale, worth a watch.